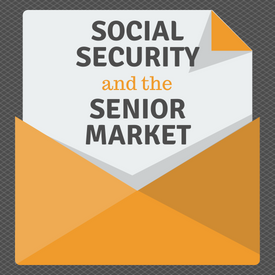 "Social Security Benefits Lose 34% of Buying Power Since 2000, According To Latest Study By The Senior Citizens League"
Social Security remains the most stable retirement pillar for about 85% of the population, yet S.S. benefits have lost 34% of buying power since 2000, says the 2018 Social Security Loss of Buying Power Study. The findings represent a significant one-year loss of 4% in buying power, with the loss growing from 30% to 34% from Jan. 2017 to Jan. 2018. The loss occurred even though beneficiaries received a 2% annual COLA for 2018. The average retired worker’s Social Security benefit is $1,412.14 per month in 2018, or $16,945.68 per year, just $4,805 above the poverty line. Thrivent Medicare Supplement plans coming to Florida! Thrivent Medicare Supplement coming to Florida! Add a Medicare Supplement Insurance option to your product lineup that stands out. Thrivent Medicare Supplement Insurance lets you offer clients coverage with highly competitive premiums and commissions. A not-for-profit financial services organization that helps Christians on their Wise With Money Journey to attain a life of contentment, confidence and generosity. Rated A++ (Superior) by A.M. Best; the highest of 16 ratings, May 2018*. Number 343 on the Fortune 500 list (Fortune Magazine, May 2018). Most financial services organizations view money as a goal. At Thrivent, they see it as a tool to help members strengthen their families and communities. It’s a fresh way to think about faith and finances. They call it The Thrivent Way. Request Information to learn how you can offer Medicare Supplement Insurance coverage from Thrivent. *Ratings based on Thrivent’s financial strength and claims-paying ability. THRIVENT IS THE MARKETING NAME FOR THRIVENT FINANCIAL FOR LUTHERANS. Insurance products issued by Thrivent Financial for Lutherans. Not available in all states. Thrivent.com/disclosures. Thrivent Independent is a division of Thrivent. Select Thrivent products are available through Thrivent Independent. Thrivent is not connected with or endorsed by the U.S. government or the federal Medicare program. Medicare Advantage and Medicare supplemental insurance (Medigap) are each intended to enhance the value of traditional Medicare coverage. 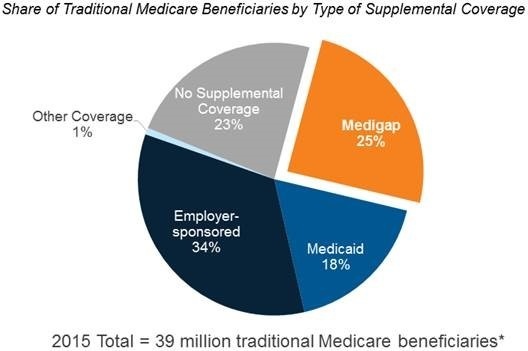 Understanding how Medicare Advantage and Medicare Supplements operate can help agents determine how to structure, market and support these plans. What are the differences between Medicare Advantage and Medigap insurance, and what does each offer its beneficiaries? Medicare Advantage plans, or Part C plans, are comprehensive benefit packages offered by private payers and funded by the Medicare program. Medicare Advantage companies may also offer plans that include additional services or benefits to members for a higher premium. Medicare Advantage uses a benchmark bidding system that awards a private payer a set amount of dollars per beneficiary to provide health plan benefits. Health plan bids for MA funds. Payers in the MA program can sponsor various types of health plans including HMOs, PPOs, private fee-for-service plans (PFFS), and HMO point of service plans (HMOPOS). HMOPOS plans offer out-of-network services for slightly higher costs. Medicare Advantage can also sponsor a special needs plans (SNP) that provides focused care for members that are dual-eligible for Medicare and Medicaid, members receiving care in acute settings, and members that have high-cost chronic conditions. Beneficiaries need to be eligible for Medicare Part A and Part B to enroll in an MA plan. Individuals must also live in the MA plan’s regional area to enroll. Medicare Advantage members may also add Part D coverage to their benefits package, which covers prescription drugs. 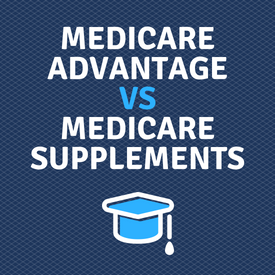 Medicare Supplement plans standardized and the benefits do not vary from company to company. The plans are divided into categories with an alphabetic label ( Medigap plans A through N). 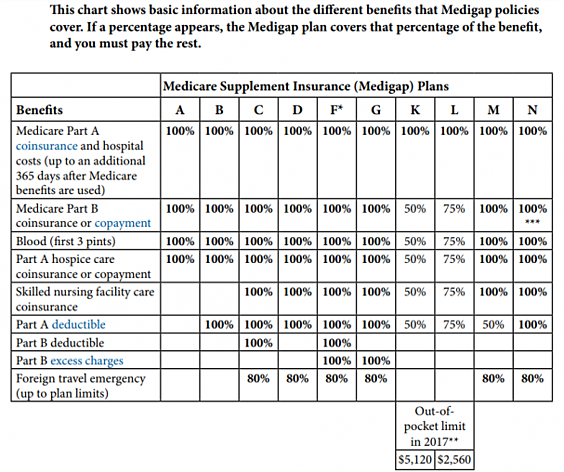 The below chart shows basic information about the different benefits that Medigap plans cover. CMS will no longer provide “Medigap C and F” plans by 2020, which are plans that cover extra Part B costs. Beneficiaries with Medicare Part A and B can enroll in a Medicare Supplement plan, however beneficiaries cannot purchase a Medicare Advantage plan and a Medigap policy at the same time. What type of consumer is likely to enroll in these plan types? The most recent demographic data for Medicare beneficiaries shows that total 2018 enrollment reached 59 million beneficiaries as of April 2018. Twenty-one million Medicare beneficiaries enrolled in either an MA plan or a Medicare supplemental insurance policy. A Kaiser Family Foundation analysis estimates that 19 million beneficiaries are enrolled in MA. Medicare Advantage and supplemental insurance enrollment is the highest in the Midwestern region of the United States. 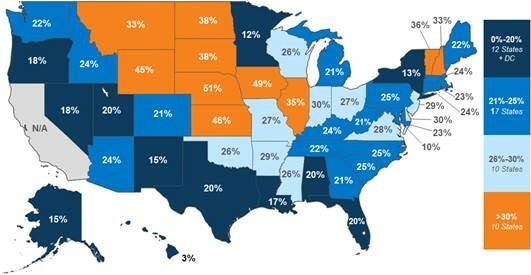 Minnesota has the highest rate of MA and supplemental insurance enrollment, with 59 percent of the population electing for MA or Medigap coverage. Enrollees in the Medicare program, and consequently MA and Medigap enrollees, are likely to have several chronic conditions at once. Medicare’s Chronic Conditions Data Warehouse found that 58 percent of Medicare beneficiaries have hypertension, while 47 percent have hyperlipidemia. In addition, nearly a third of Medicare beneficiaries have been treated for either rheumatoid arthritis (32 percent), ischemic heart disease (28 percent), or diabetes (28 percent). Healthcare companies offering MA plans posted significant profits in the first quarter of 2018. Currently, the Medicare Advantage market is a $187 billion segment of the industry. This is great news for agents currently selling MA plans. A CMS final rule also allows payers to tailor Medicare Advantage benefits to address the needs of chronic beneficiaries. 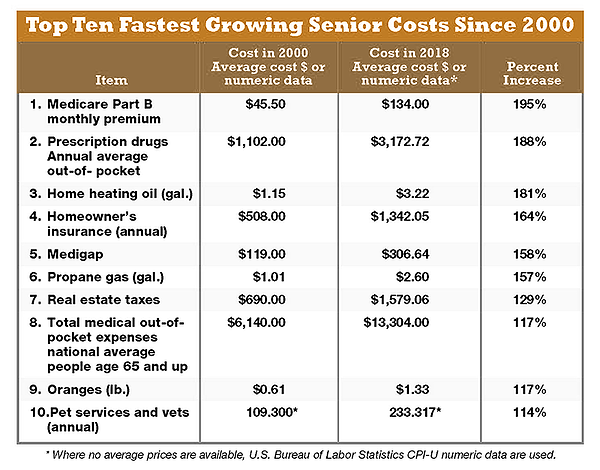 In addition, Medicare Advantage can help companies generate greater cost savings and improved patient outcomes. Compared to Medicare fee-for-service, Medicare Advantage was more effective at improving beneficiary outcomes and reducing care costs. Lower costs may leave more profit left over after the bidding process. Companies that want to maximize their market position within the Medicare Advantage should invest in value-added benefits for their members. Payers could extend preventive care benefits, design more affordable cost sharing for specific services, and help MA members make informed health plan decisions. The Medigap market has also grown steadily. About 35 percent of Medicare fee-for-service beneficiaries in 2016 had a Medigap policy. The number of Medigap beneficiaries increased from 12.3 million in 2015 to 13.1 million in 2016, said AHIP. In 2015, 36 percent of Medicare beneficiaries with a single or combined income of $30,00 or less purchased a Medigap policy to help cover costs. Medigap N plan enrollment grew faster than any other Medigap plan type from 2015 to 2016 and has a promising market presence across the Medicare program. Medigap payers can position themselves favorably in the Medigap market by investing in technologies that improve customer service with health plans and manage the plan’s medical loss ratio (MLR). Health plans in the Medigap market should also invest in strategies that help target desirable consumers and ensure the right beneficiaries are able to find a Medigap plan. The growing number of seniors in the US, as well as climbing enrollment numbers, could create a highly successful market atmosphere for agents offering either Medicare Advantage or Medigap policies to their prospective clients. Discover The Benefits of Working With an FMO / IMO? We will review some of the products and services you should look for, as well as important questions to ask before you start working with an FMO.
" 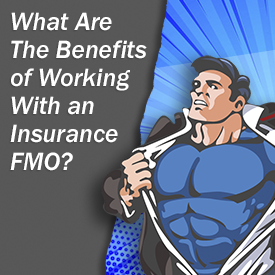 Think of an FMO as Your Sidekick for Success." 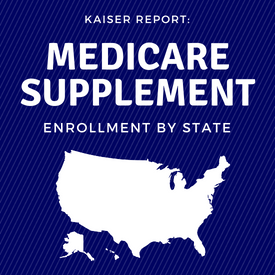 One in four people in traditional Medicare had a Med Supp plan in 2015. The share of beneficiaries with Medigap varies widely by state – from 3% in Hawaii to 51% in Kansas. In all but four states, insurance companies can deny private Medigap policies to seniors after their initial enrollment in Medicare because of a pre-existing medical condition, such as diabetes or heart disease, except under limited, qualifying circumstances, a Kaiser Family Foundation analysis finds. 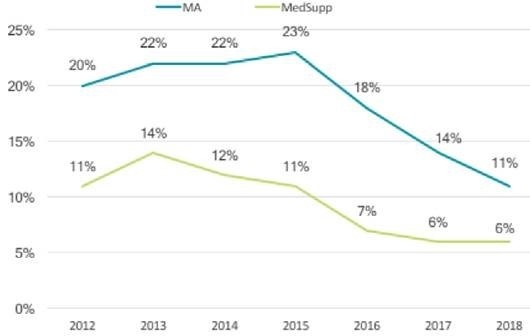 Only Connecticut, Maine, Massachusetts and New York require Med Supp insurers to sell policies to all Medicare beneficiaries 65+ either continuously during the year, or for at least one month per year. In all other states and the District of Columbia, insurers may deny a Medigap policy to seniors, except during their initial open enrollment period when they start on Medicare, or when they have other specified qualifying events, such as the loss of retiree health coverage. This issue brief provides an overview of Medigap enrollment and analyzes consumer protections under federal law/state regulations that can affect access to Medigap. In particular, this brief examines implications for older adults with pre-existing medical conditions who may be unable to purchase a Med Supp or change their coverage after their initial open enrollment period. In a recent blog post, we mentioned that Mutual of Omaha will be entering the Medicare Advantage and Part D markets in 2019. Being a long time distributor of Mutual of Omaha, we are excited to see them taking this next step and the opportunities it will present. Not contracted with Mutual of Omaha? We would love to have the opportunity to work with you and provide all the benefits Mutual has to offer. To request more information, request details here or please call us at 800-998-7715. A trend that many agents have been grappling with is decreased switching in the Medicare space. What used to be a yearly AEP “gold rush” has morphed into a shadow of its former self, with switching rates half of what they used to be. The reason for the lower activity is benefit stability due to good reimbursement. Since 2015, CMS reimbursement has been greater and more predictable, allowing plan designers to hold the line on premiums and costs shares. If anything, it sweetened benefits, not reduced them. The current dearth of switching in the Medicare space is just 9%. Agents and brokers have always been the switch catalyst in the Medicare market. 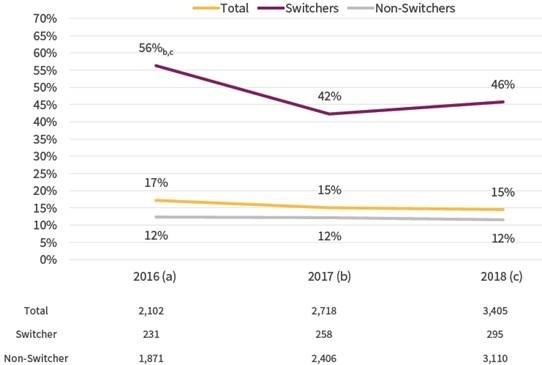 Over the last three years, about 50% of switchers worked with an agent. Deft Research also found that over the last three AEPs, the MA/PD market stabilized. The rash of private fee-for-service exits in the earlier 2000s has subsided, Part D benefits (which historically prompt switching) stabilized, and more carriers have the ability to hold the line on benefits and cost shares because of greater CMS reimbursement. When seniors see their coverage remaining the same from year to year, their shopping and switching activity grinds to a halt. Today, switching in MA/PD is down more than half, from 23% in 2015 to just 11% today, due to benefit stability. 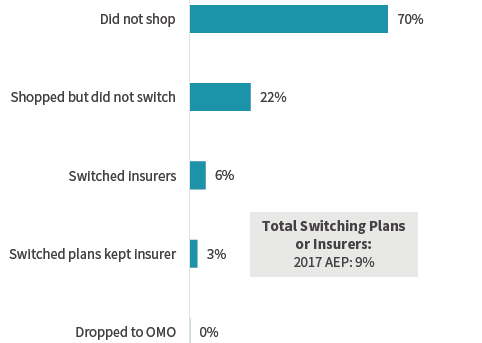 Two thirds of all switchers this past AEP relied on the assistance of a health insurance sales professional, with agents and brokers leading the way. Agents and brokers have a significant influence on Medicare Member's decision making. Health insurers need to understand the key roles that agents play and what motivates them. Deft Research has just published its 2018 Medicare Shopping and Switch Study which reports on the Fall annual enrollment period (AEP) activities of both senior consumers and health insurance agents. The study covers both the reasons seniors have for shopping and switching and the various information channels they use when making decisions. The study re-affirms the idea that people need the help of an insurance professional when making health plan decisions. Consumers have reported that the tools found on Medicare.gov and other websites often provide them with lots of information but no help making a decision – in fact many wind up more doubtful than they began. Part of the problem is that a set of health plans placed together for consideration usually produces more questions. A clear decision does not emerge. When faced with such a choice, consumers seek a way to make a selection based on trust. Trust is the most fundamental element of the consumer-health plan relationship and consumers seek it in various forms. One form is the trustworthiness to be found in brand reputation, "Does the brand take care of people if they get sick?" Another form comes through the affirmation of a knowledgeable person such as an insurer's own representative or an agent. Over time, despite the emergence and refinement of on-line shopping resources, we have seen the percentage of seniors using health insurance agents has remained relatively stable. We have also seen that agents create an environment which makes seniors more comfortable with switching. According to the study, agents facilitate almost 50% of the occasions when a senior switches from one plan to another. When an agent talks with a senior, the respondents to our survey most often report that a Premium-to-Benefit analysis occurs. This analysis includes a review and assessment of drug coverage, as well as a check on whether the consumer’s doctors are in the network. The conclusion one could reach is that senior health plan consumers who are serious about finding a plan that is better for themselves, often need personal assistance. Adam Hyers, an agent working with Precision Senior Marketing shares his thoughts on this topic. " As part of our services at Hyers and Associates Medicare Supplement Insurance we will generally schedule a yearly appointment with our clients and go over their current coverage to address any changes taking place. A percentage of those annual reviews will result in moving the client to a new plan that better suits their needs due to changes in the market." Medicare switchers were 3.8 times more likely than non-switchers to receive help from an agent during the 2018 AEP. 77% of agents in the health insurance business sell Supplemental Medicare coverage (Medsupp). While only 43% sell Prescription Drug Plans (PDP’s). A significant proportion of agents forgo the PDP opportunity, and only 3% sell PDP’s only. We also find that Deft's 2018 Medicare Shopping and Switch Study results support the idea that agents must consider the ease and speed of sales. With a large bulk of business to be closed in the short AEP timeframe, if the agent is to meet sales goals, products that take more time to explain and inject more uncertainty cannot be favored over simpler products. Although only 25% of Medicare Advantage enrollment is in a PPO, agents report that over half of their sales are PPO’s. Forty percent of agents said their PPO sales had grown this year and a similar percent (43%) said they expect PPO sales to grow again next year. PPO’s have larger networks and fewer restrictions on access to doctors and hospitals. This fits our idea of simpler, easier, and faster to sell. This means that without changes to the system, we cannot expect agents to be leaders in promoting new products with more complicated networks, formularies, and tiers. We have found in several studies that insurers could develop agent tools that go beyond the plan selection tools currently available. These would certainly include easy interfaces for checking on doctor and hospital availability. They also need to go further in helping consumers understand what would happen in various dire circumstances – if you needed to go to the emergency room, where would you be taken? What would it cost? Under situations of distress, who would help you and assure your coverage would work? What services are likely to be needed in an entire episode of care? Agents can’t be expected to provide these answers, but they would communicate them to their clients, and with this we see a tool for understanding whether a narrow network plan would work for them. The study suggests that insurers should know that agents are critical of the agent service they receive from health plans. 95% of agents said they were more likely to sell the health plans who provided good service to them over others who do not. The study also found that providing extra incentives, vacations, trips to conferences, additional bonuses and gifts to agents, is motivating to the majority. Two-in-five agents are not given the opportunity to earn extra incentives. Here is perhaps a gap in the market for insurers to help fill.